We’re excited to announce Family Promise Rochester’s 3rd Annual No Place Like Home Gala on Thursday, June 14, 2018! Get ready for an evening of laughter, fun, music, dancing, great food, and more, all to support the Family Promise Rochester Family Homeless Shelter Organization! Jack and Kitty are especially important performers at this particular No Place Like Home Gala because they know the importance of help for our homeless community, as they, themselves, we once homeless when they were younger too. They were able to turn their love for each other and music into the building blocks to creating a new life for themselves. We are so proud to have them performing at our Gala this year! Check out their link HERE to learn more about this unique duo! Danielle Teal will be the MC for our No Place Like Home Gala this year! Danielle is well-known throughout the community for her work with Random Acts of Kindness where she surprises different people who have been nominated for the kind work they do. She is also a radio host for 106.9 KROC and a Senior Digital Production Specialist at Mayo Clinic Rochester. Our Board President will make a speech on behalf of the Family Promise Rochester organization. We will be holding a Gift Card and Gift Certificate Raffle for all those who attend the No Place Like Home Gala this year. Cards and Certificates will be from a variety of local businesses! There will be a Silent Auction portion of the Gala this year of various gift baskets! We will have a large assortment of appetizers and sweet treats for Gala attendees! Attire for the event is black tie optional, but red shoes are encouraged! 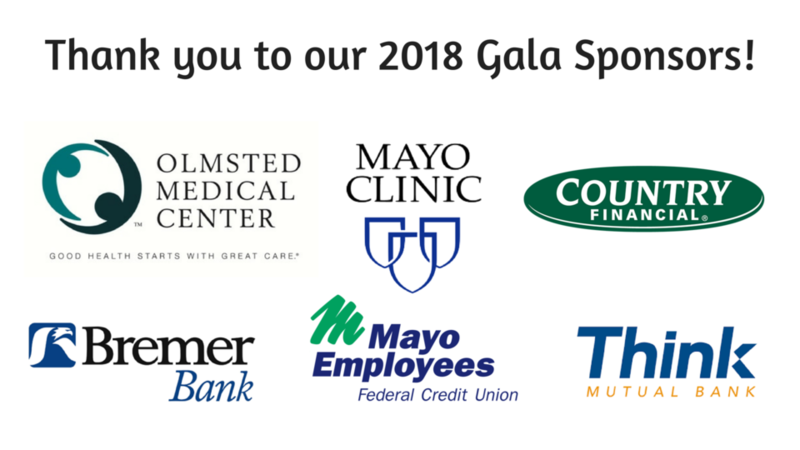 Interested in being a sponsor for the 2018 No Place Like Home Gala or donating towards the event? Contact Family Promise Rochester at (507) 281-3122.